Born in Parral, Chile, Pablo Neruda has long been considered one of the most important Spanish American poets of the 20th century. He won the Nobel Prize for literature in 1971. His early youth was spent in the small town of Temuco, and later he attended schools in the capital city of Santiago. He studied French at the University of Santiago. He began writing poetry early, including the highly-praised Viente poems de amor y una canción desesperada (1924, Twenty Love Poems and a Song of Despair), La canción de la fiesta (1921), and Crepusculario (1923). Soon after graduating, Neruda obtained an appointment in the Chilean diplomatic service, and was sent to Rangoon, Burma. It was there and elsewhere in the Far East that he completed the first volume of his great collection Residencia en la tierra (1933, Residence on Earth). During this period, he became friends with the Spanish poet Federico García Lorca. 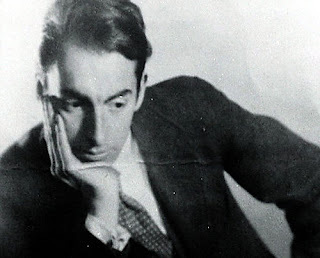 In 1934 Neruda was assigned as Chilean consul in Barcelona, which brought him closer to García Lorca and other poets of the Generation of 1927, who hailed him a major figure of Hispanic literature. He completed the second volume of Residencia en la tierra while in Spain. The Spanish Civil War changed his life and poetry, as he moved to a personal voice to more political involved and ideological positions. He particiapted in leftist politics and became a member of the Chilean Communist Party in 1945. Because of his support of the Soviet Union, particularly while he was consul in Mexico City, he was attacked by pro-Nazi sympathizers, and was stripped of his diplomatic position. A visit to the Incan ruins of Macchu Picchu in 1943 inspired him to write Alturas de Macchu Picchu (1943, The Heights of Macchu Picchu), which he later incorporated into his book Canto general (1950, general song). The final volume of Residencia en la tierra was completed in 1947, containing poems written between 1935 and 1945. Neruda was elected to the Chilean senate in 1946, but when he denounced the goverment's anticommunisct purge, he was indicted and was forced to flee Chile. He traveled extensively until 1952, a time during which he was awarded the Stalin Prize for literature and the Lenin Peace Prize. He died in Santiago in 1973. La canción de la fiesta (Santiago: Federación de Estudiantes de Chile, 1921); Crepusculario (Santiago: Nascimento, 1923); Viente poemas de amor y una canción desesperada (Santiago: Nascimento); Anillos (Santiago: Nascimento, 1926); Tentativa del hombre infinto (Santiago: Nascimento, 1926); El hondero entusiasta, 1923-1924 (Santiago: Ediciones Ercilla, 1933); Residencia en la tierra (Madrid: Ediciones del Arbol) [Vol I: 1933; Vol II, 1935]; Poesías de Yillamediana presentadas por Pablo Naruda (Madrid: Cruz y Raya, 1935); Homenaje a Pablo Neruda de los poetas españoles: Tres cantos materiales (Madrid: Plutarco, 1935); España en el corazón: himno a las glorias del pueblo en la guerra (Santiago: Ediciones Ecrilla, 1937); Las furias y las penas (Santiago: Nascimento, 1939); Un canto para Bolívar (Mexico City: Universidad Nacional Autónoma de México, 1941); Nuevo canto de amor a Staingrado (Mexico City: comité de ayuda a Rusia en guerra, 1943); Canto general de Chile (privately printed, 1943); Cantos de Pablo Neruda (Lima: Hora del Hombre, 1943); Cántico (Bogota: Le Gran Colombia, 1943); Pablo Neruda: Sus mejories versos (Bogota: Le Gran Colombia, 1943); Selección, edited by Arturo Aldunate) (Santiago: Nascimento, 1943); Saludo al norte de Stalingrado (privately printed, 1945); tercera residencia, (1935-1945) (Buenos Aires, Losada, 1947); Himno y regreso (Santiago: Cruz del Sur, 1948); ¡Qué edespierte el leñador! (Havana: Colección Yagruma, 1948); Colección residencia en la tierra: Obra poética [10 volumes] (Santiago: Cruz del Sur, 1947-1948); Alturas de Macchu-Picchu (Santiago: Librería Neira, 1948) Canto general (Mexico City: Cimité Auspiciador, 1950); Poesías completas (Buenos Aires: Losada, 1951); Poemas (Buenos Aires: Fundamentos, 1952); Los versos del capitán: Poemas de amor (Naples: privately printed, 1952); Todo del amor (Santiago: Nascimento, 1953); Las uvas y el viento (Santiago: Nascimento, 1954); Odas elementales (Buenos Aires: Losada, 1954); Regreso la sirena (Santiago: Ediciones del Centro de Amigos de Polonia, 1954); Los versos más populares (Santiago: Austral, 1954); Nuevas odas elementales (Buenos Aires: Losada, 1956); Oda a la tipografia (Santiago: Nascimento, 1956); Los mejores versos de Pablo Neruda (Buenos aires: Losada, 1956); Dos odas elementales (Buenos Aires: Losada, 1957); Obras completas (Buenos Aires: Losada, 1957); Antología (Santiago: Nascimento, 1957); Estravagario (Buenos Aires: Losada, 1958); Tercer libro de las odas (Buenos Aires: Losada, 1959); Algunas odas (Santiago: Edición del 55, 1959); Cien sonetos de amor (Buenos Aires: 1959); Odas: Al libro, a las Américas, a la luz (Caracas: Homenaje de la Asociación de Escritores Venezolanos, 1959); Todo lleva tu mobre (Caracas: Ministerio de Educación, 1959); Navegaciones y regresos (Buenos Aires: Losada, 1959); Canción de gessta (Havana: Imprenta Nacional de Cuba, 1960); Oceana (Havana: La Tertulia, 1960); Los primeros versos de amor (Santiago: Austral, 1961); Las piedras de Chile (Buenos Aires: Losada, 1961); Cantos ceremoniales (Buenos Aires: Losada, 1962); Poema con grabado [with Mario Toral] (Santiago: Ediciones Isla Negra, 1962); Memorial de Isla Negra [5 volumes] (Buenos Aires: Losada, 1964); Poesías, selected by Roberto Retamar (Havana: Casa de las Américas, 1965); Arte de pájaros (Santiago: Sociedad de Amigos del Arte Contemporáneo, 1966); Una casa en la arena (poetry and prose) (Barcelona: Lumen, 1966); La barcarola (Buenos Aires, Losada, 1967); Comiendo en Hungría [with Miguel Angel Asturias]; Las manos del día (Buenos Aires: Losada, 1968); Aun: Poema (Santiago: Nascimento, 1969); Fin de mundo (Buenos Aires: Losada, 1969); La copa de sangre (poetry and prose) (privately printed, 1969); Las piedras del cielo (Buenos Aires: Losada, 1970); Cantos de amor y de combate (Santiago: Austral, 1971); Antología esencial, selected by Hernán Loyola (Buenos Aires: Losada, 1971); Poemas imortales, selected by Jaime Concha (Santiago: Quimantu, 1971); Geografía infructuosa (Buenos Aires: Losada, 1972); Cuartros poemas escritos in Francia (Santiago: Nascimento, 1972); Libro de las odas (Buenos Aires: Losada, 1972); Obras escogidas, selected by Francisco Coloane (Santiago: A Bello, 1972); Antología popular 1972 (Santiago, 1972); Alturas de Macchu-Picchu (Santiago: Librería Neira, 1948) El mar y las campanas: Poemas (Buenos Aires: Losada, 1973); La rosa separada (Buenos Aires: Losada, 1973); El corazón amarillo (Buenos Aires: Losada, 1974); Elegía (Buenos Aires: Losada, 1974); Defectos escogidos (Buenos Aires: Losada, 1974); Oda a la lagartija (Camp Rico de Canovanas: P. R. Martorell, 1974); Poesia [2 volumes] (Barcelona: Noguer, 1974); Jardín de invierno (Buenos Aires: Losada, 1974); Libro de las preguntas (Buenos Aires: Losada, 1977). Selected Poems (from Residencia en la tierra), translated by Angel Flores (privately printed, 1944); Residence on Earth and Other Poems, translated by Angel Flores (New York: New Directions, 1946); The Selected Poems of Pablo Neruda, edited and translated by Ben Belitt (New York: Grove Press, 1961); Twenty Love Poems; A Distaining Song, translated by W. S. Merwin (New York: Grossman, 1961); Bestiary/Bestiario: A Poem, translated by Elsa Neuberger (New York: Harcourt, Brace, 1965); The Heights of Macchu Picchu, translated by Nathaniel Tarn (London: Jonathan Cape, 1966; republished by New York: Farrar, Straus, & Giroux, 1967); We are Many, translated by Alastair Reid (London: Cape Goliard Press, 1967; New York: Grossman, 1968); Twenty Love Poems and a Song of Despair, translated by W. S. Merwin (London: Jonathan Cape, 1969); A New Decade: Poems, 1958-1967, translated by Ben Belitt and Alastair Reid (New York: Grove, 1969); Pablo Neruda: The Early Poems, translated by David Ossman and Carlos B. Hagen (Minneapolis: New Rivers Press, 1969); Selected Poems, translated by Anthony Kerrigan and others (London: Jonathan Cape, 1970; New York: Delacorte Press, 1972); The Captain's Verses, translated by Donald D. Walsh (New York: New Directions, 1972); Extravagaria, translated by Alastair Reid (Jonathan Cape, 1972; New York: Farrar Straus, & Giroux, 1974); New Poems, 1968-1970, translated by Ben Belitt (New York: Grove Press, 1972); Residence on Earth, translated by Donald D. Walsh (New York: New Directions, 1973); Five Decades: A Selection (Poems 1925-1970), edited and translated by Ben Belitt (New York: Grove Press, 1974); Fully Empowered: Plenos poderes, translated by Alastair Reid (New York: Farrar, Straus, & Giroux, 1975); Isla Negra: A Notebook, translated by Alastair Reid (New York: Farrar, Straus, & Giroux, 1980); The Separate Rose, translated by William O'Daly (Port Townsend, Washington: Copper Canyon Press, 1985); 100 Love Sonnets, trans. by Stephen J. Tapscott (Austin: University of Texas Press, 1986); Winter Garden, translated by William O'Daly (Port Townsend, Washington: Copper Canyon Press, 1986); Stones of Chile, translated by Dennis Maloney (Fredonia, NY: White Pine Press, 1987); Stones of Sky, translated by James Nolan (Port Townsend, Washington: Cooper Canyon Press, 1987); The Sea and the Bells, translated by William O'Daly (Port Townsend, Washington: Cooper Canyon Press, 1988); The House at Isla Negra, translated by Dennis Maloney and Clark Zlotchew (Fredonia, New York: White Pine Press, 1988); Late and Posthumous Poems, 1968-1974, edited and translated by Ben Belitt (New York: Grove Press, 1989); The Book of Questions, translated by William O'Daly (Port Townsend: Cooper Canyon Press, 1991); Neruda's Garden: An Anthology of Odes, translated by Maria Jacketti (Pittsburgh: Latin American Literary Review Press, 1995); Ceremonial Songs, translated by Maria Jacketti (Pittsburgh: Latin American Literary Review Press, 1996). Thanks for this succinct bio! If you really like Neruda, check out Red Poppy at www.redpoppy.net. It's a non-profit set up to create a documentary about Neruda, publish his biography, and translate his works into English.